On Tuesday, THQ released the heavyweights that will be appearing in “UFC Undisputed 3.” Fast forward 24 hours and the game’s featherweight roster has now been revealed. 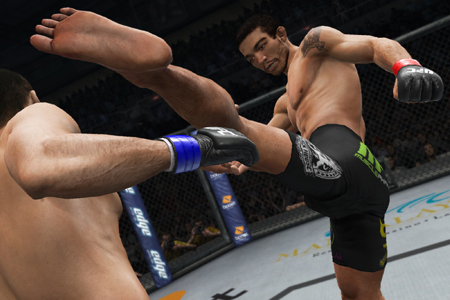 Division champion Jose Aldo (Pictured) will be joined by 15 other 145-pounders as playable characters in the video game’s third installment. Are there any “Korean Zombie” fans out there? Unfortunately, we have some bad news for you because Chan Sung Jung was left off the VIP list. Well, at least Zhang Tiequan was allowed into the exclusive club. UFC Undisputed 3 is currently in development for the XBox 360 and PlayStation3 consoles. The game is scheduled to hit shelves in January 2012.